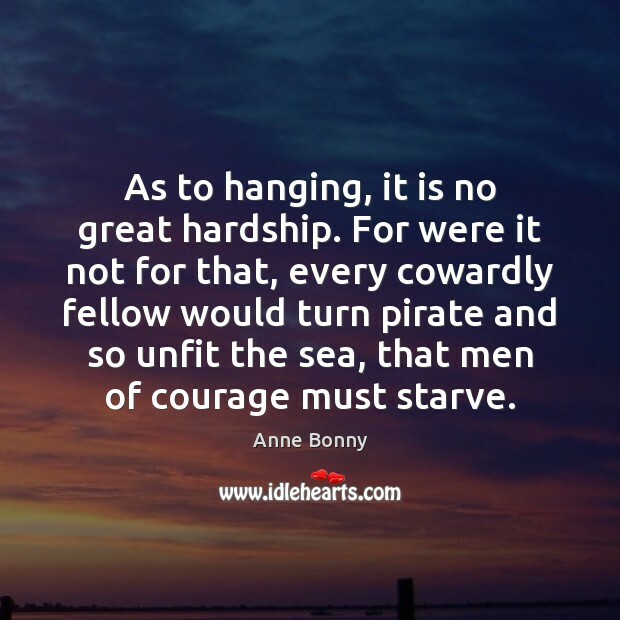 Enjoy the best inspirational, motivational, positive, funny and famous quotes by Anne Bonny. Use words and picture quotations to push forward and inspire you keep going in life! As to hanging, it is no great hardship. For were it not for that, every cowardly fellow would turn pirate and so unfit the sea, that men of courage must starve. 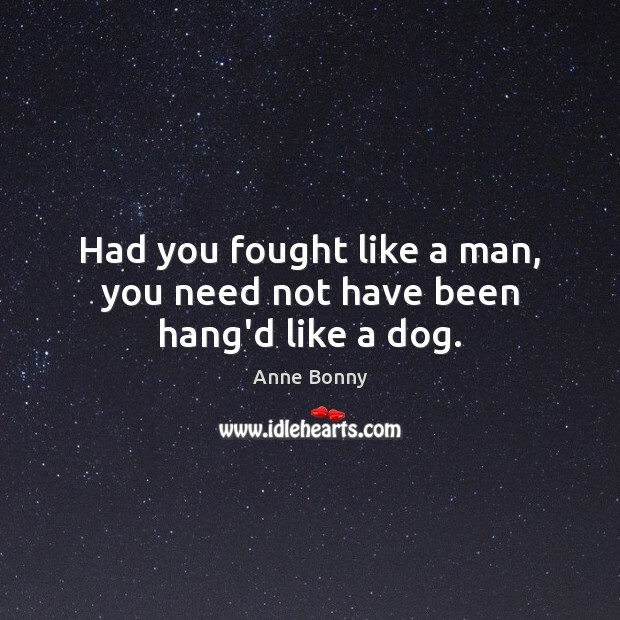 Had you fought like a man, you need not have been hang'd like a dog. 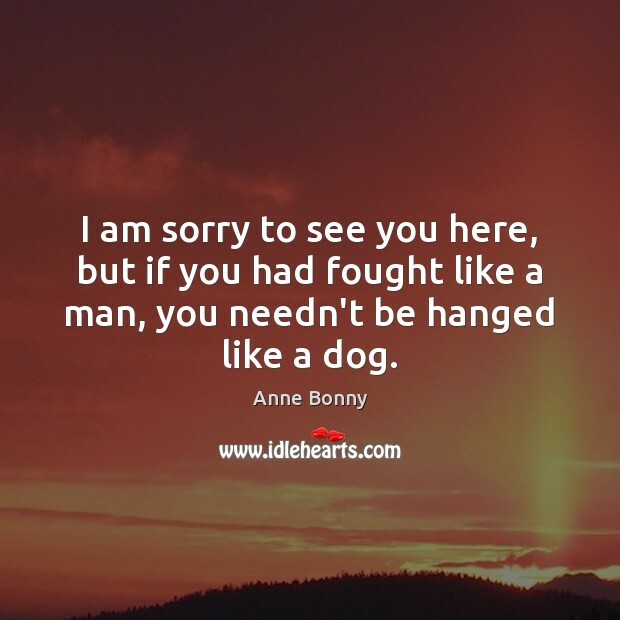 I am sorry to see you here, but if you had fought like a man, you needn't be hanged like a dog.